In recent years the shift away from monolithic applications toward microservices based applications has rapidly sped up development and given developers the kind of agility they need to rapidly iterate features and bug fixes. The concept of breaking out the services and even individual functions of a previously all inclusive application has been very popular as a means of dividing and conquering the numerous challenges a development team is trying to solve. This shift in application architectures however brought new complexities. When outages or latency issues inevitably emerge, troubleshooting and unveiling the root cause is far more complex, if not impossible with traditional utilities and methodologies. 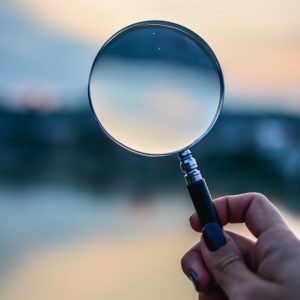 Furthermore, even if you are able to trace down the root cause of an issue, how do you determine whether it was part of a pattern or an isolated incident? What can be done to prevent future occurrences? New application architectures require a new approach to monitoring and troubleshooting. When a transaction occurs, following the path it takes from beginning to end is necessary in order to understand application behavior. The transformation of application development and architectures and the need for improved observability and monitoring has given birth to a new class of product and even entirely new companies focused on solving this problem. In many cases existing application performance monitoring (APM) and other log ingestion platforms have added functionality meant to provide a complete view of applications that have been segmented into microservices, serverless functions, and other distributed functionality. This approach has seen some success, but to truly meet the needs of operations and development teams responsible for a highly distributed application, a new solution is required. One such company born to address this need is LightStep. Founded by ex-Googlers Ben Sigelman and Daniel “Spoons” Spoonhower, LightStep’s [x]PM platform is targeted specifically for enterprises that are moving away from monoliths towards microservices based applications who are looking for greater observability and understanding of transactions and application behavior. LightStep Moving Away From Monoliths with Ben Sigelman from Stephen Foskett on Vimeo. The need for a solution like LightStep [x]PM is clear and the platform’s architecture is unique and possibly even ingenious. 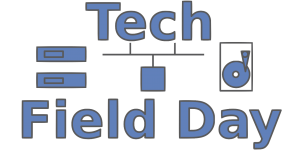 If you spend the time to watch their appearance at Cloud Field Day 4, you will likely be impressed by the interface and their Satellite component which feeds data from applications into the platform. Another realization you may come away with is that [x]PM is well suited for large enterprises with a highly complex distributed application. Many organizations however are just starting to move a way from monoliths to microservices architectures, however. What if Lightstep [x]PM isn’t quite a right fit for them? There may still be value it distributed tracing for smaller applications but the size and complexity of a solution like [x]PM could be overwhelming for companies who are just getting started in their shift away from monoliths. For this reason, LightStep has recently released LightStep Tracing. Delivered as a SaaS offering, LightStep Tracing is meant to provide customers with an easy on ramp into distributed tracing so they can gain better observability into the applications without as complex and lengthy of a setup process as [x]PM. Ultimately many customers may outgrow the smaller footprint of LigthStep Tracing and wish to adopt it’s bigger brother [x]PM. The good news is that this is possible and relatively painless. Additional setup and project management may be necessary on the customer’s part, but the path is laid out and ready should they choose to make the transition. When we first heard from LightStep at Cloud Field Day 4, many were impressed not only with the solution itself, but also by the people behind it. The passion and knowhow brought by the team at LightStep speaks volumes to the company and product they have created. Yet the question on many folks’ minds was how anyone other than a very large enterprise could get started. With the release of LightStep Tracing, the question has been answered.